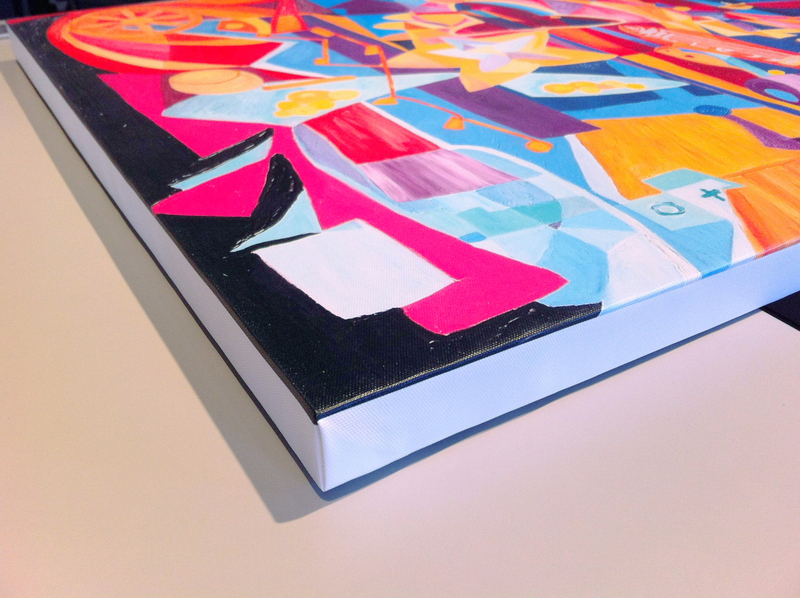 Stretched canvas prints can be a great alternative to prints on paper for a number of reasons. The popularity of canvas prints as gifts has been growing for years and no wonder. They are easy to hang, don’t require a frame, and immediately distinguish themselves from your average drugstore prints. Keep in mind, that in addition to photographs, it can be a great option for reproductions of original paintings. Selling limited reproductions of artwork allows artists to reach a totally different customer base than would be capable or interested in buying an original. Additionally, depending on the size of the edition of prints, reproductions can be a profitable approach for artists. 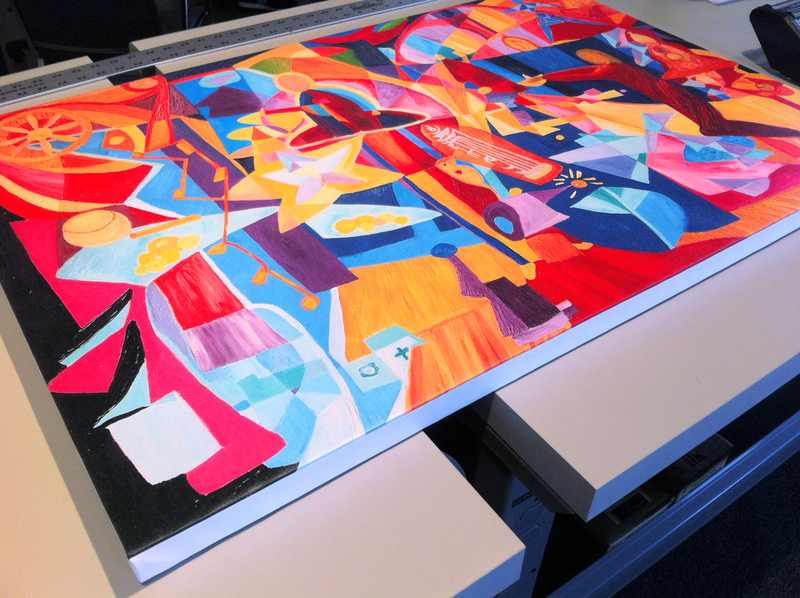 We print and stretch canvas here at Color Space. There are a couple of canvas options (depending on budget and preferences) as well coating and stretching options. Below you’ll see a 24×36 piece from Philip Noyed that we printed, coated with our satin protective coating, and stretched. 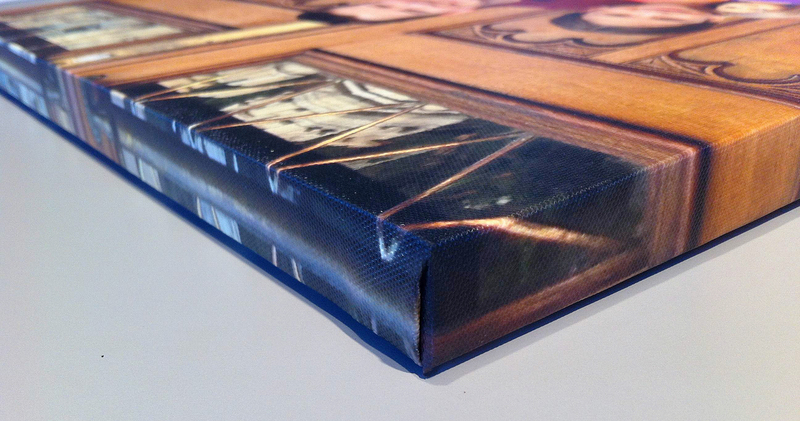 You’ll also see an example of a gallery wrapped edge (the image wraps around the side of the stretcher bars). For more info on printing, check out our Inkjet Printing page. We have canvas options in both the Standard and Premium categories. For info on Stretching and Coating, contact us.